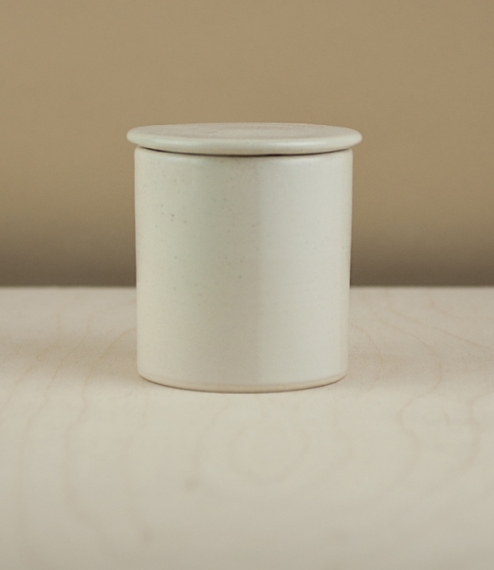 Hand thrown in smooth white stoneware for Objects of Use by Katie Coston of Ilyria Pottery, less than a mile from our store in Oxford, this butter keeper will keep your butter fresh and spreadable. Simply fill the lid section with softened butter, pour a little cold water into the base (to create an airtight seal) and keep your butter out on the side, for easy spreading. White glaze. With a total height of about 9cm and diameter of 8cm.